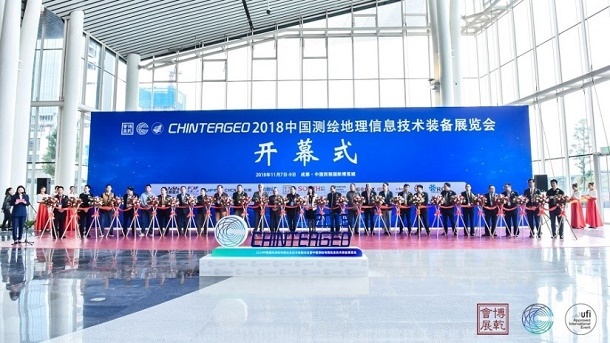 CHINTERGEO, representing China Surveying, Mapping and Geographic Information Technology Equipment Exhibition, is one of the biggest exhibition fairs in the Surveying and Mapping industry in the world. 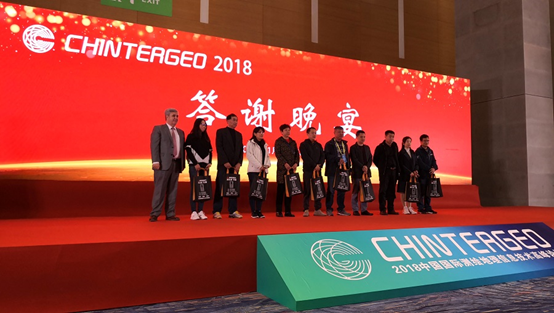 This year’s CHINTERGEO was held on the 7-9 November 2018 at Western China International Expo City (Chengdu), an international expo city in China’s hinterland, organized by CHINTEGEO alliance, Equipment Committee of CAGIS (China Association for Geographic Information Society) and Beijing Boqian Exhibition Service Co., Ltd. 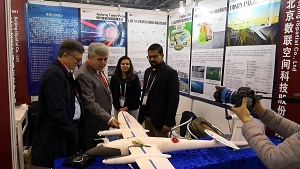 Covering an exhibition area of nearly 20,000 square meters, the exhibition attracted 250+ exhibitors and 3000+ visitors, mostly manufacturers, dealers and professional users from the industry of surveying, mapping and geographic information, including 100+ international visitors from Asia, Europe and North America. FIG Vice President Orhan Ercan represented FIG in the official opening and throughout the three exhibition days. 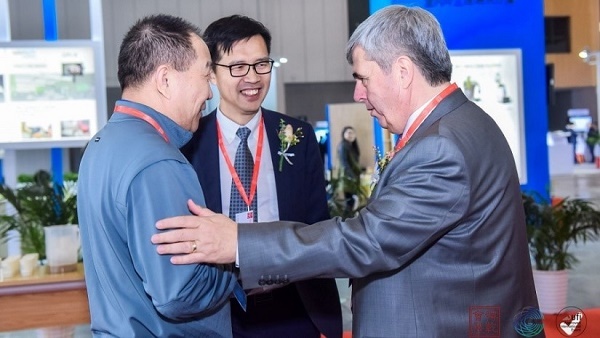 Mrs. Zengning WANG (Secretary General of CAGIS), Mr. Chao MA (President of ChinterGEO Alliance, president of South Survey Group), Dr. Orhan ERCAN (Vice President of FIG) and more than 20 VIP guests from leading enterprises in the industry attended the opening ceremony on the morning of the 7 November 2018. The ChinterGEO Forum held on the morning of the 8 November was one of the most important events in the ChinterGEO exhibition. The forum was hosted by Hans Ni, vice president of CHINTERGEO Alliance and president of Beijing iSpatial Co.,Ltd., Mr. Yanying Xu (Executive Vice President of China Association for Geographic Information Society) and Mr. Sheng Yang (Director General of Sichuan Administration Bureau of Surveying and Mapping) gave a warmly welcome address respectively. Six keynote speakers (including president of South Survey Group China, vice president of FIG, president of High-target, senior manager of TOPCON Positioning, president of CHC and sales manager of NavVis) presented market analysis, emerging technologies, business strategies, the development trend of the industry as well as cross-cultural collaboration. 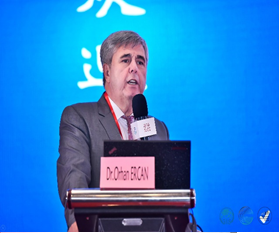 FIG Vice President Orcan Ercan focused his speech on: Who is FIG? Why FIG? How is FIG structured? Where is FIG? What is FIG? 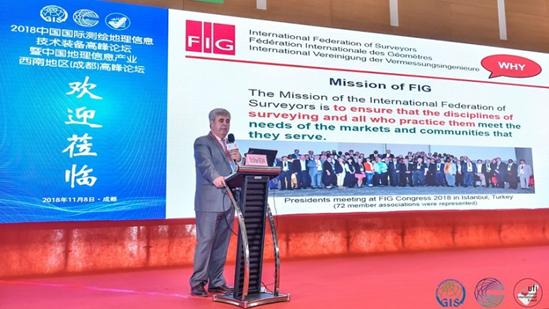 At the end of his speech he invited the delegates to the FIG Working Week in Hanoi, Vietnam from 22-26 April 2019. More than 700 participated in the Forum. 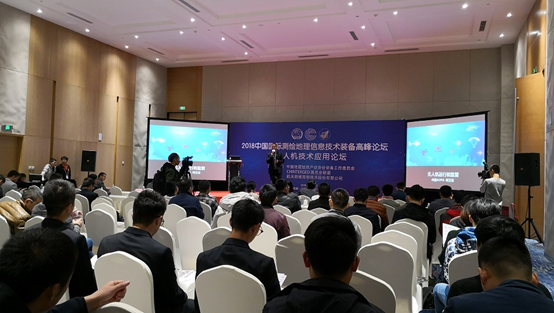 On the afternoon of the 8 November four technical sessions were held respectively, which include Sessions on UAV, 3D Laser Scanning, Smart Town and University Practice. 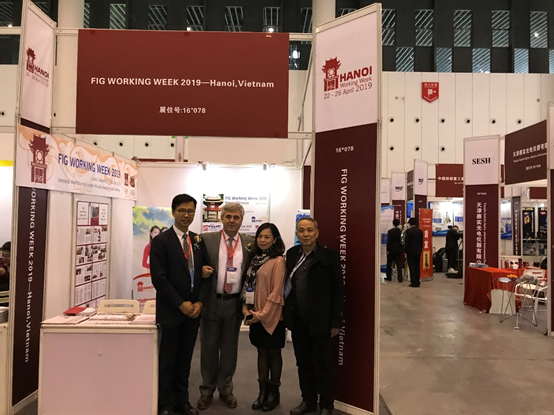 FIG was also attending with a stand, manned by the host of FIG Working Week 2019 in Hanoi, Vietnam. Many came by to learn more about FIG and FIG activities. The FIG Working Week 2019 was the focus at the FIG Stand. Material about the exhibition was handed out and also potential participants to the Working Week were interested to hear more about the conference. The Farewell dinner on the 8 NovEMBER was also very successful and attractive, with wonderful performance and more than 600 exhibitors and VIP visitors present. During the dinner, 100 dealers were rewarded the Annual Honest Dealer Award. Fig: Top 100 honest dealers prize in farewell dinner.